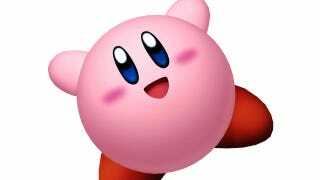 Kirby's 20th birthday is this year, and Nintendo plans to observe it with a stunt at PAX Prime on Sept. 1. They're trying to get more than 304 people together in the same place to collectively blow chewing-gum bubbles, which would set a Guinness World Record. Given how solicitous Guinness is of video game companies and establishing records for them to claim, it's amusing to me that Nintendo's going to this kind of effort. Surely they could have invented some other standard already easily surpassed by the 20-year-old puffy pink ... ball of ... whatever. Anyway, good luck and godspeed, Kirby and your fans.